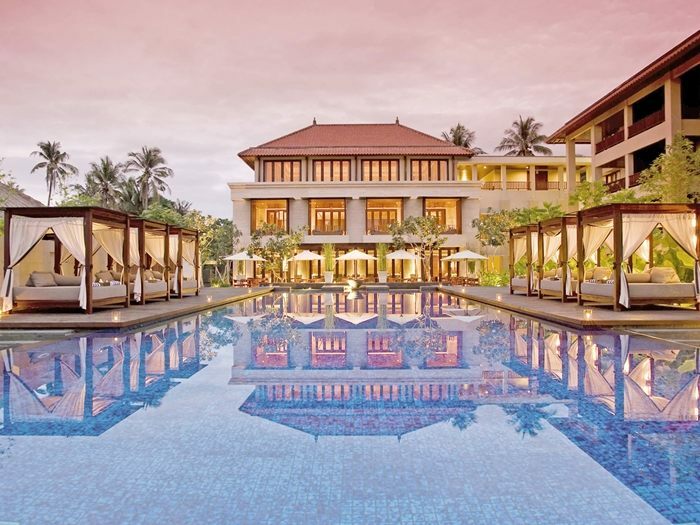 Conrad Bali, an award-winning resort at Tanjung Benoa, presents more choices for an incredible Indian Ocean beach getaway. 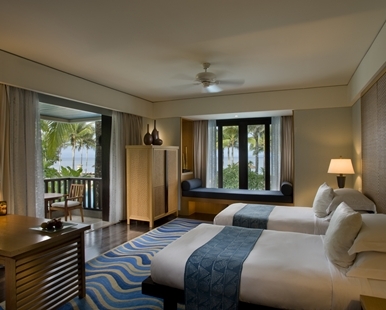 Relax in a premium suite in the private wing before trying cultural and kids' activities or playing watersports and even tennis. Guests of this island resort engage in an authentic ancient purification ritual, Balinese arts and crafts, traditional dancing and an exclusive sourcing program to Bali's famous artists. This cultural immersion experience is located along the southern coast of Bali, about 30 minutes from Ngurah Rai International Airport (DPS). 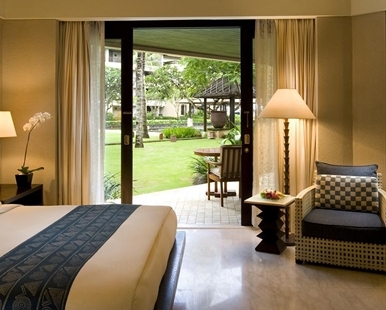 The temples of Uluwatu and the shops and restaurants of Seminyak are only a short drive away. Discover the fabulous manicured lawns, frangipani-perfumed gardens and cascading waterfalls at this Bali resort, offering an enticing backdrop for your next event. Complementary indoor venues include the water's edge Infinity Chapel or the Water Garden, a Balinese gazebo floating in the lotus pond. 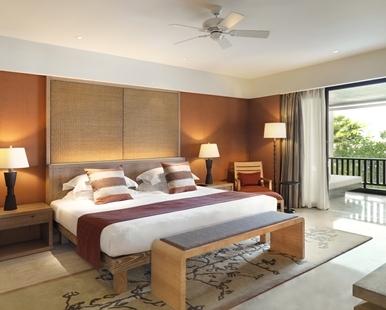 Sleek, Balinese-inspired rooms offer flat-screen TVs, marble bathrooms, and private balconies or terraces. Suites add separate living and dining areas, while those in a private wing come with espresso machines, free Wi-Fi, and access to a lounge with complimentary breakfast. Some suites have private pools and/or kitchenettes. 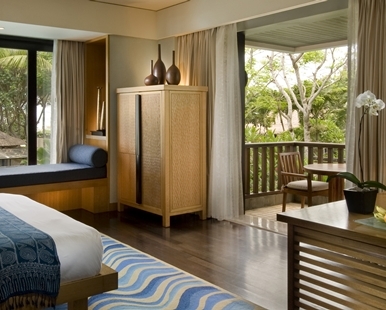 Conrad Suites offer separate dining area with private bar, dressing room with walk-in wardrobe. Refresh in the spacious bathroom with dual vanities, separate rain shower and soaking tub with TV. The personalized amenities and intuitive services include access to Conrad Suites Lounge for breakfast, afternoon tea and cocktails. Unlimited laundry and dry cleaning. Escape to a room with a view of beautiful lush garden, a balcony or terrace, one king bed / two twin beds and bathroom with separate shower and bathtub. Unwind in this 45 sq. m./484 sq. 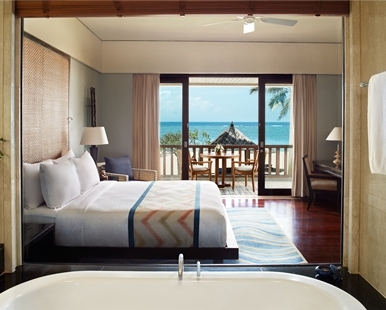 ft. room with ocean views, one king bed / Two twin beds and bathroom with separate shower and bathtub. 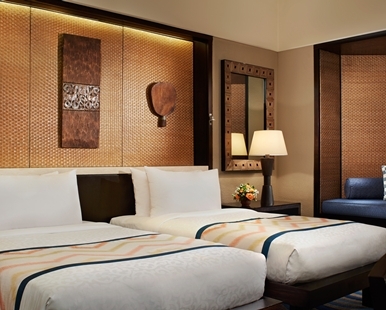 This spacious room offers a private balcony/terrace, and mixes modern design with striking Indonesian decor.